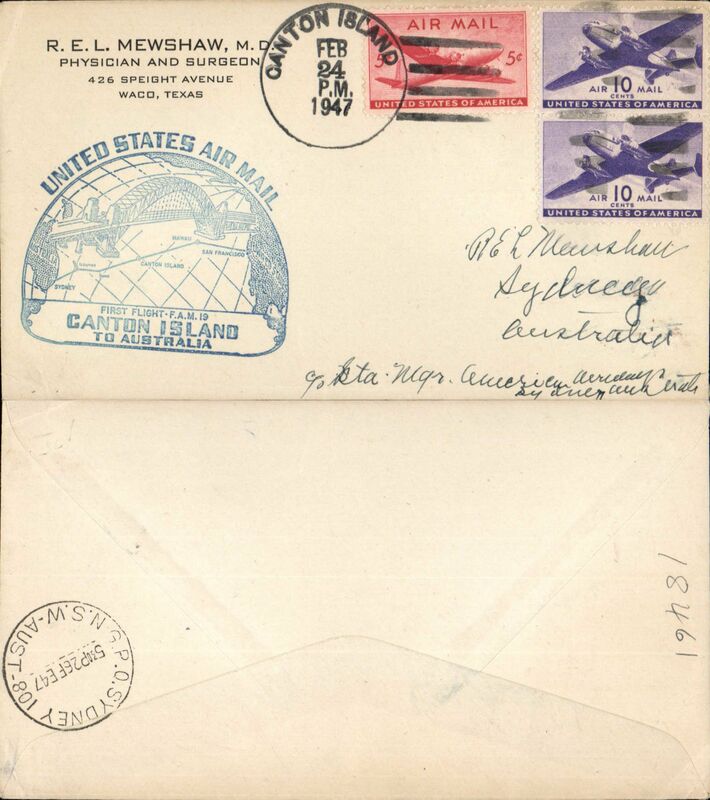 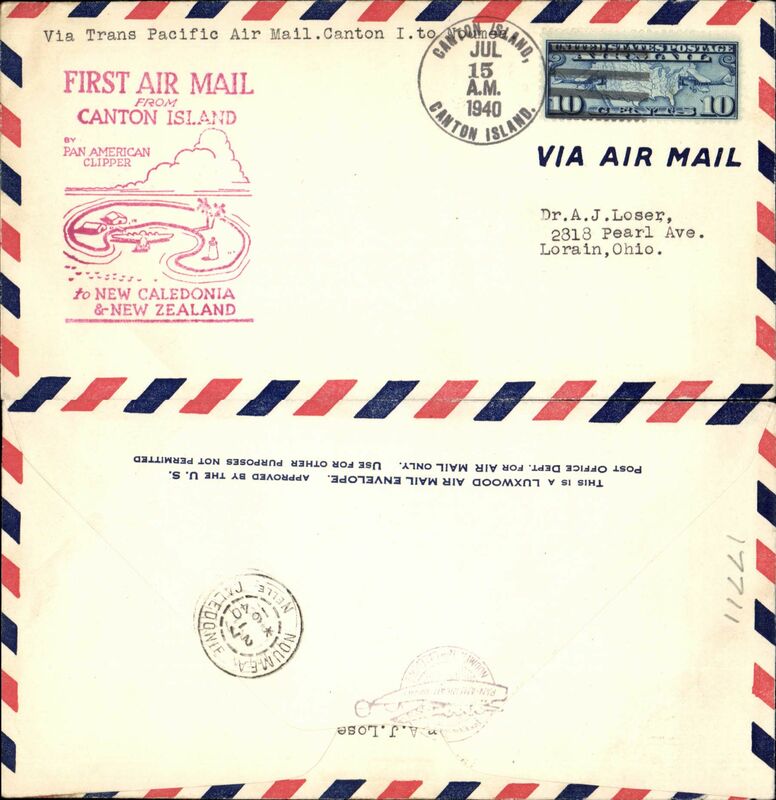 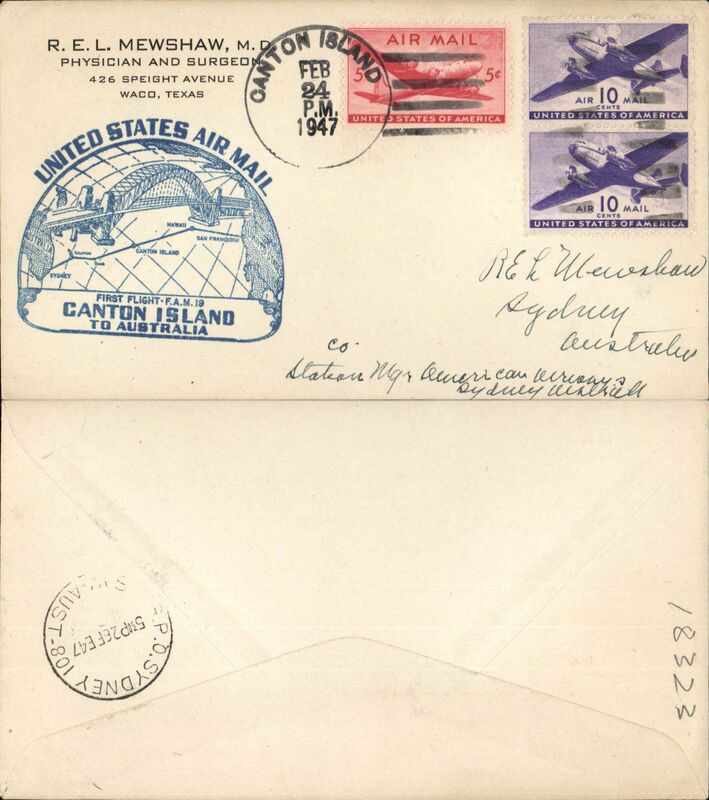 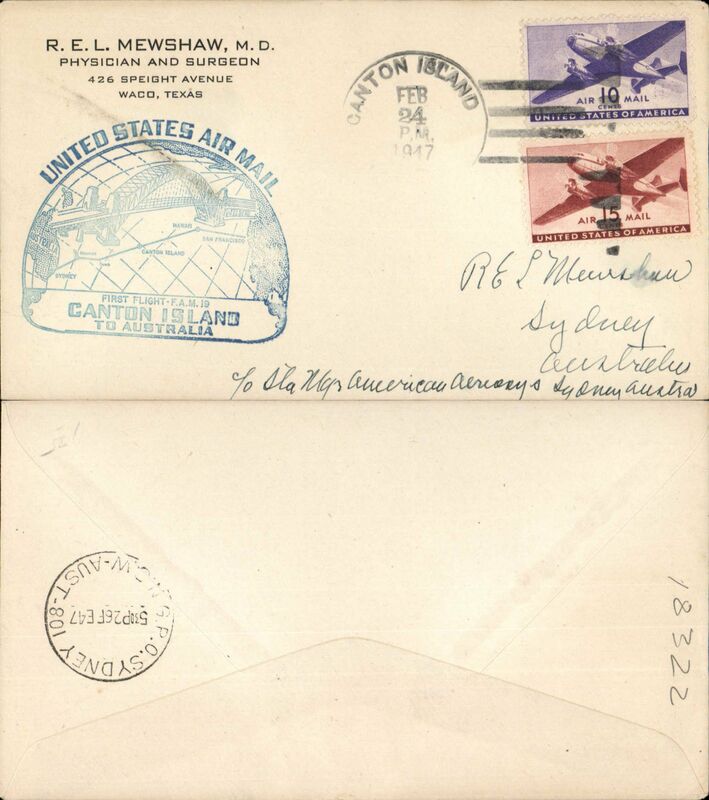 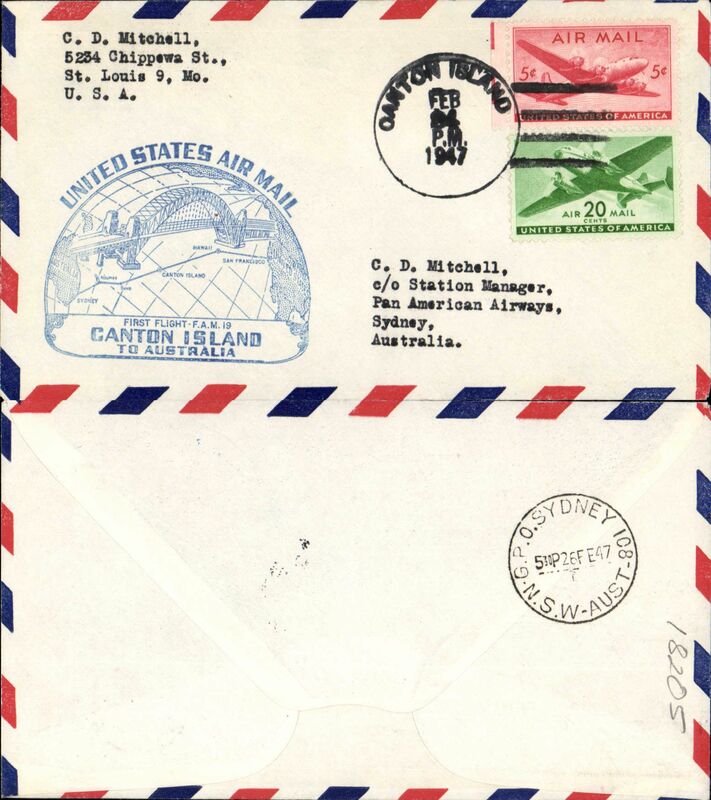 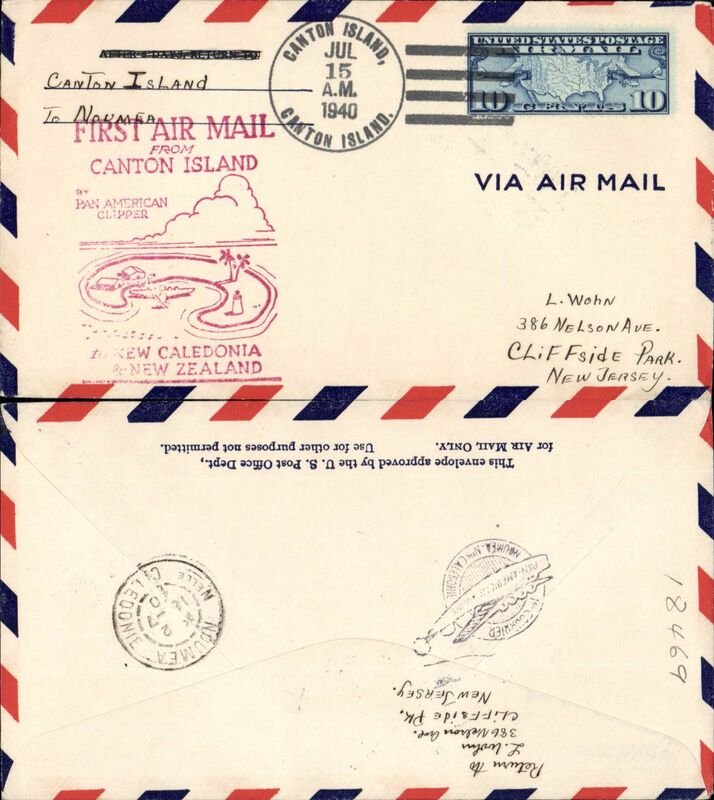 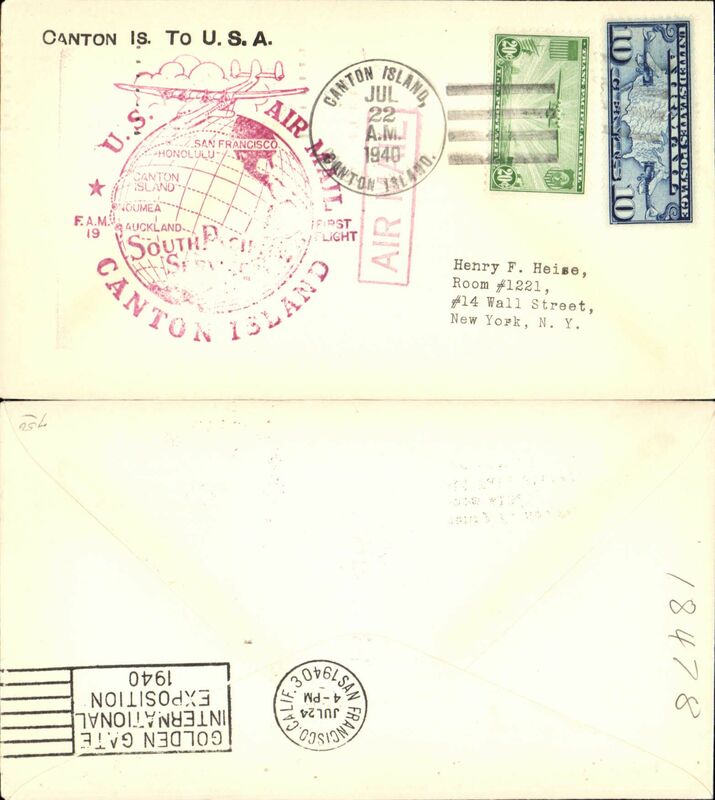 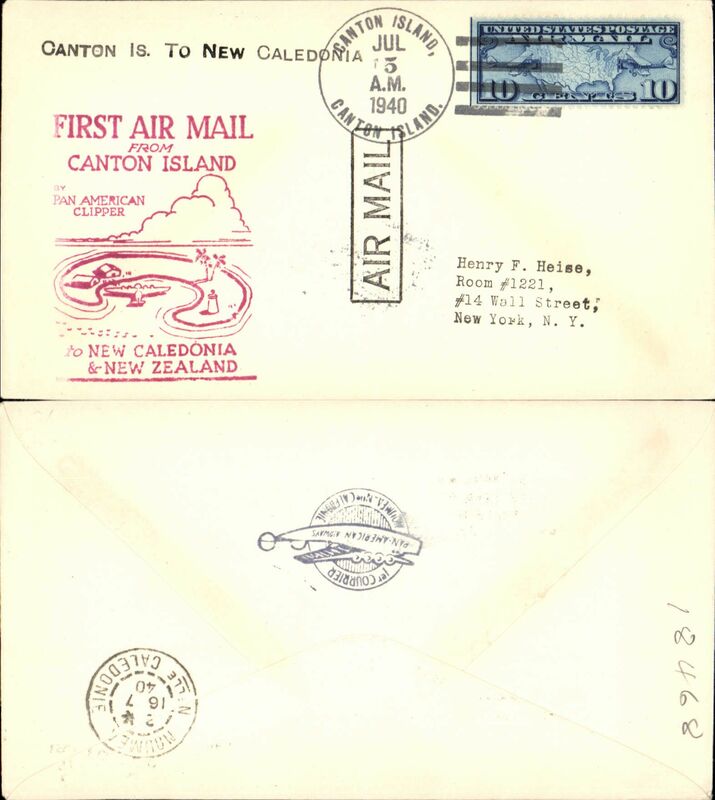 Trans-Pacific, Pan Am F/F FAM 19, Canton Island to Noumea, red cachet, b/s, air cover franked 10c. 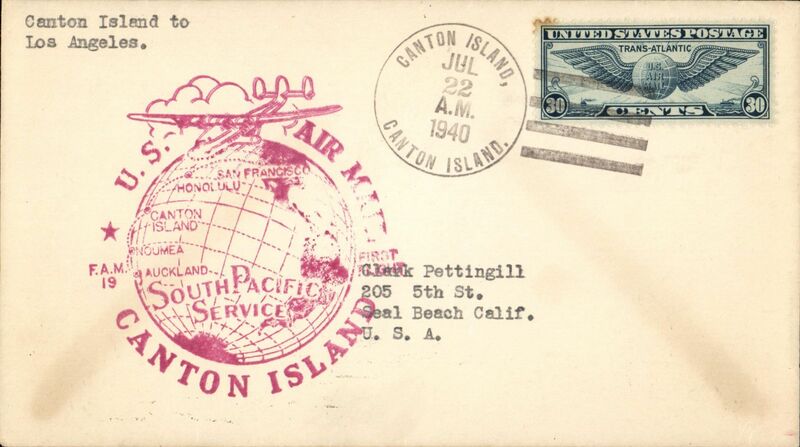 Trans-Pacific, Pan Am F/F FAM 19, Canton Island to Noumea, red cachet, b/s, plain cover franked 10c. 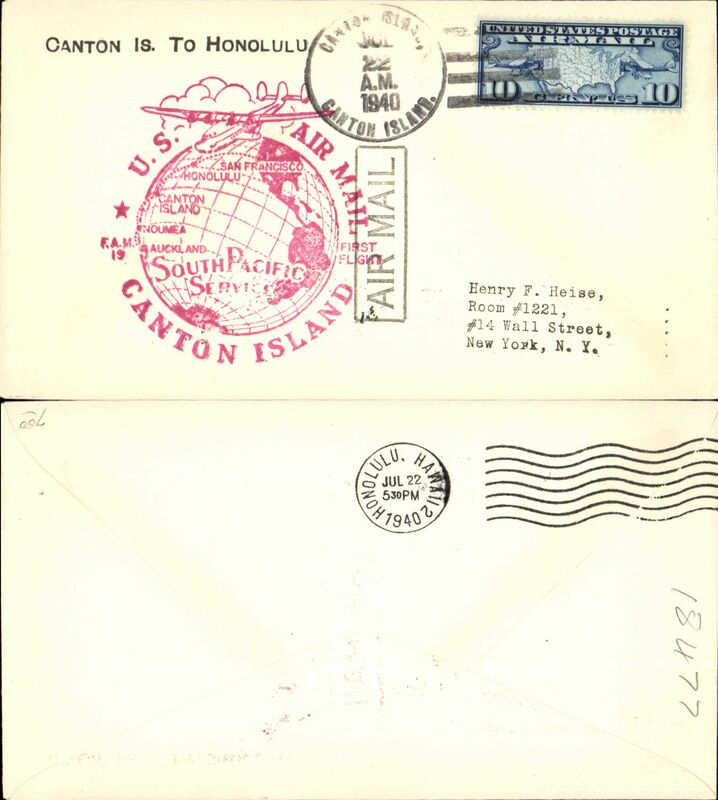 F/F FAM 19 Canton Island to Los Angeles, b/s, cachet, b/s, plain cover, Pan Am.